Tropical islands always have lots of seabirds but are often missing entire families of land birds. Sometimes a family is represented by just one endemic species. In Hawaii this is true of both crows (Corvidae) and hawks (Accipitridae). There is one endemic crow, the Hawaiian crow, and only one endemic hawk. The Hawaiian hawk or i’o (Buteo solitarius) is in the same genus as our red-tailed hawk (Buteo jamaicensis) but he evolved to eat birds, such as rails and ducks, because there weren’t any small mammals on the islands. When humans brought rodents, lizards and game birds to Hawaii many of the hawk’s original prey disappeared so he switched to hunting introduced species. 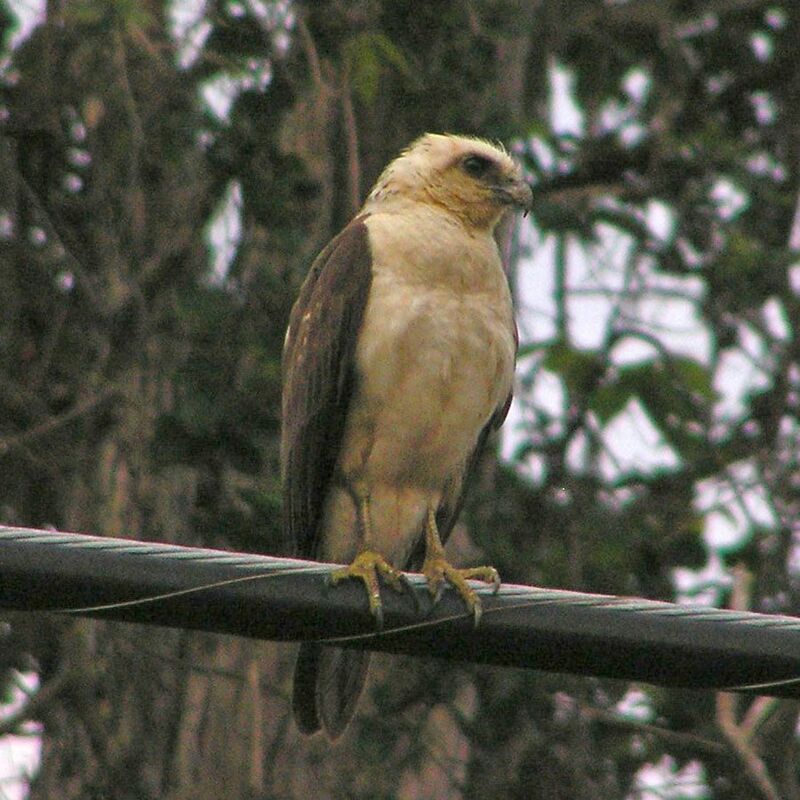 The Hawaian hawk comes in light morph and dark morph plumage. Dark morphs are dark chocolate brown. Pictured here are light morph individuals — an adult above, a juvenile below. You can tell the males and females apart not by plumage but by size. Females are 50% heavier than males, the most sexually dimorphic of all buteos. 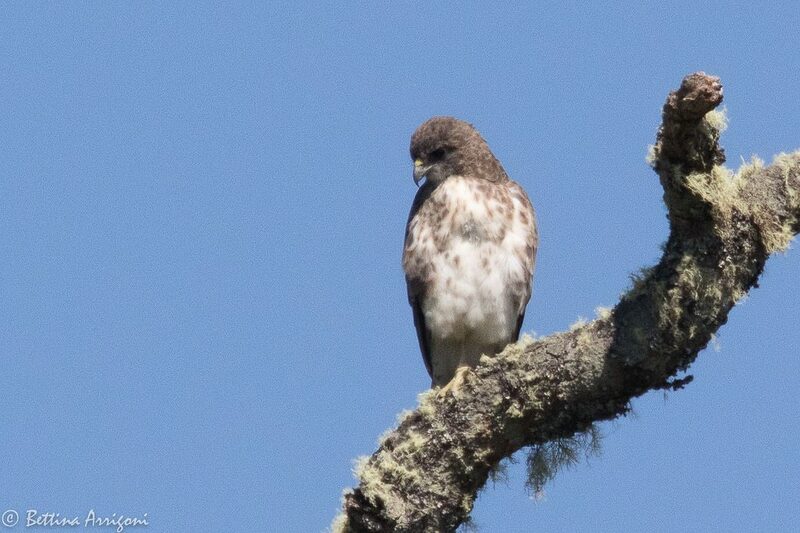 As with red-tailed hawks, juvenile i’os are easier to get close to. The i’o is a loud bird whose Hawaiian name imitates his voice: “I’o.” “Eee Ohhh.” He often calls while soaring. Click here to hear. The Hawaiian hawk used to inhabit four islands but is now found only on the Big Island of Hawai’i. The population declined for many years but is making a comeback. That’s good news for Hawai’i. This hawk is important to Hawaiian culture and a symbol of Hawaiian royalty.